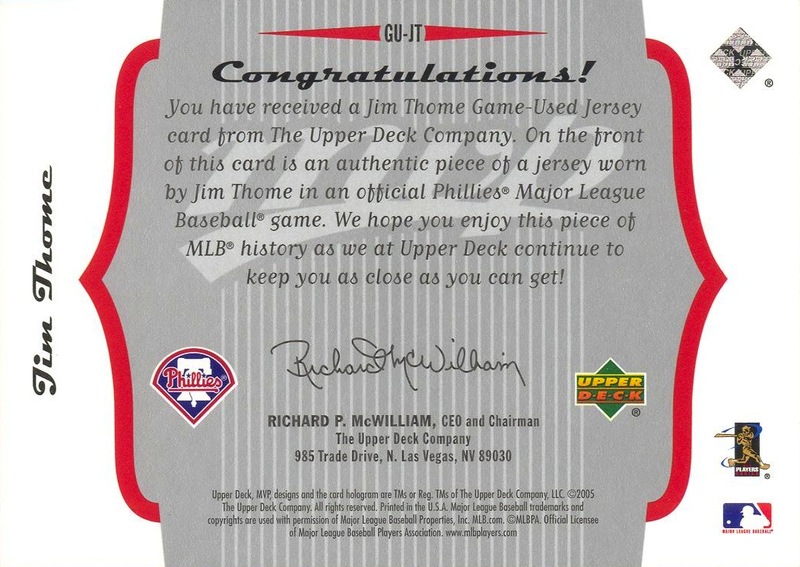 Additional Information: Inserted in packs of 2005 Upper Deck MVP. 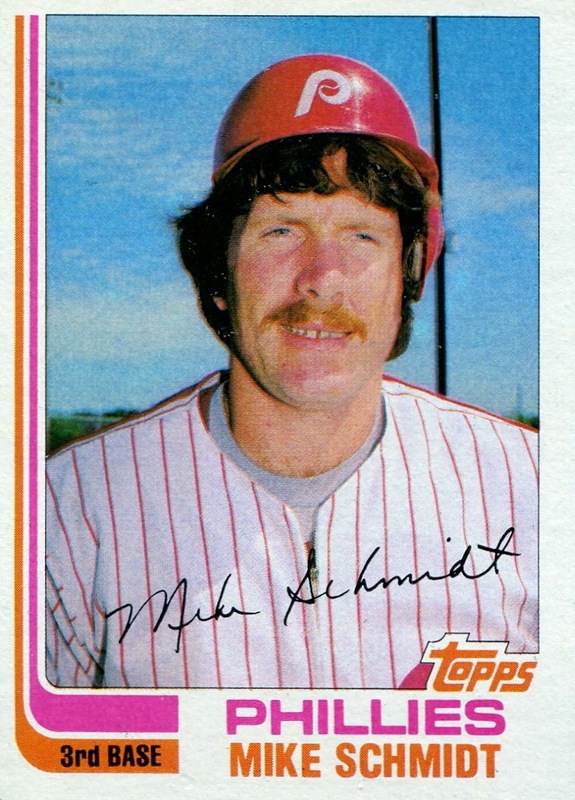 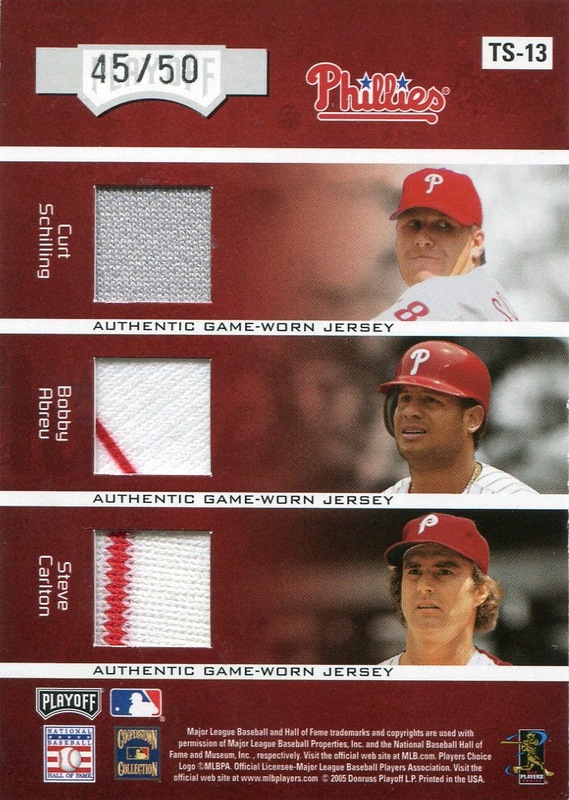 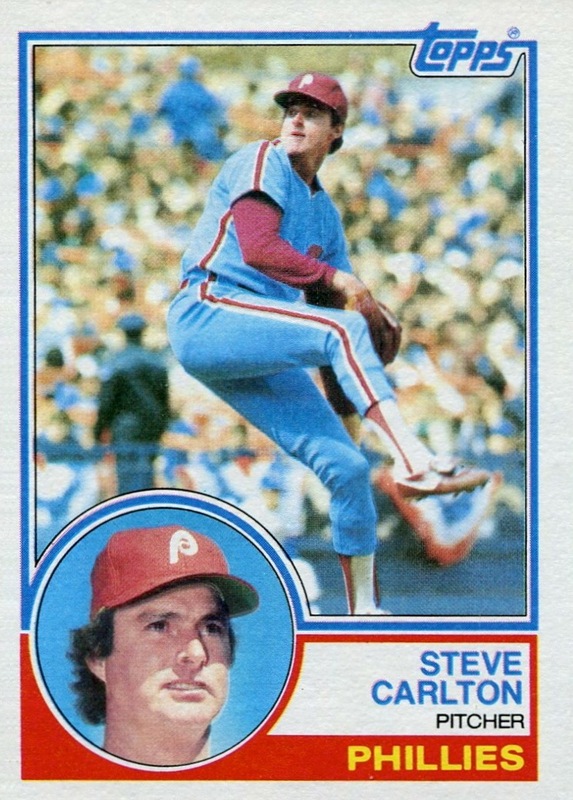 14,000 Phillies Commentary: Given the time this insert set came out, it’s almost a bizarre anomaly. 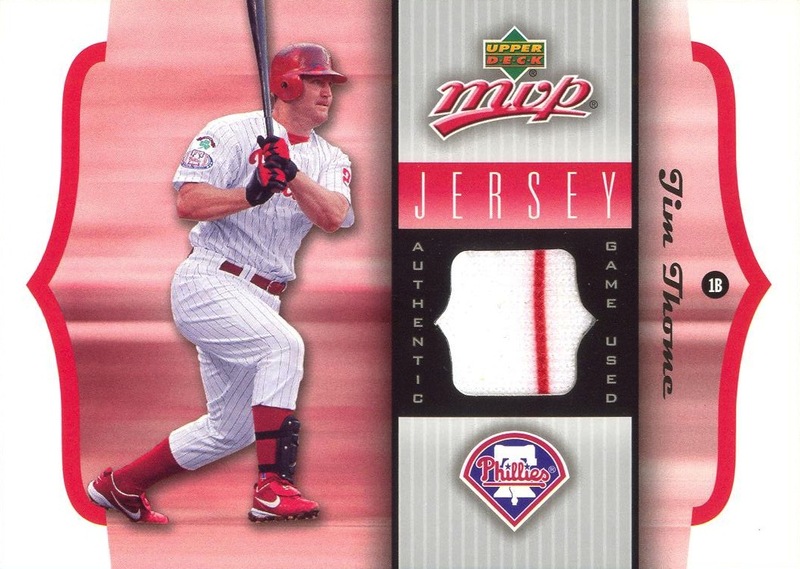 No parallels, no foil, no ridiculously long name to the set to hype a simple game-used jersey card and no other gimmick to the subset. 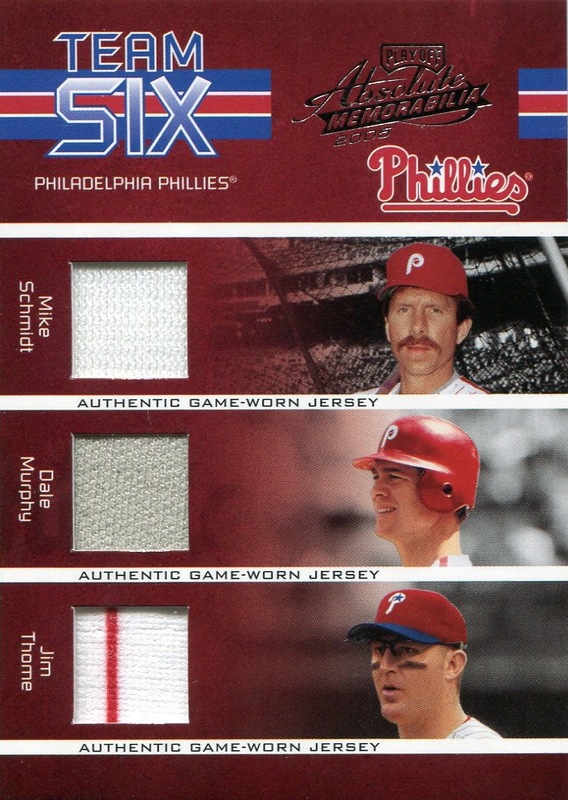 It makes one wish Topps could find it in themselves to put together a set like this today without it being part of the heritage brand. 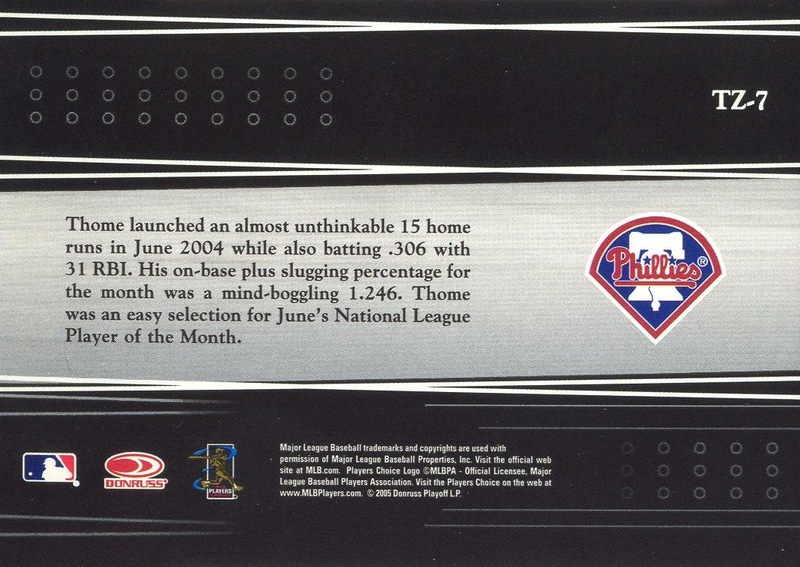 Additional Information: Cards were inserted in packs of 2005 Fleer Platinum. 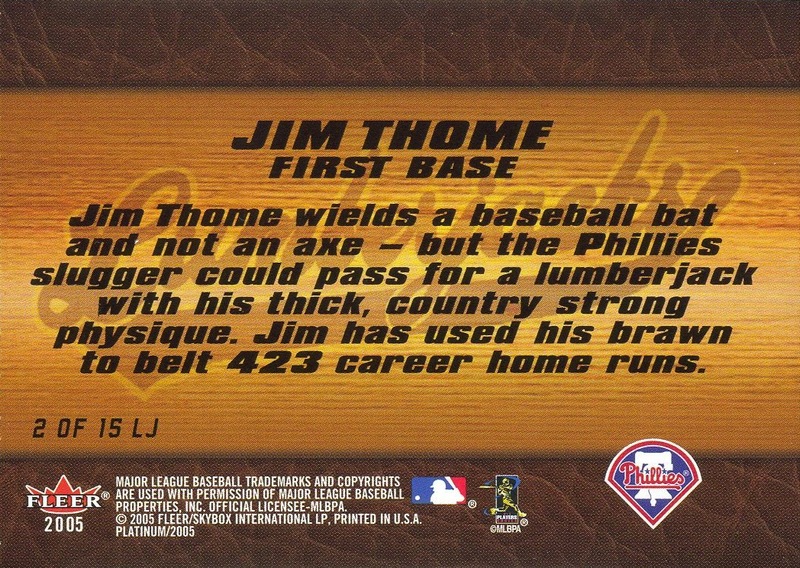 Parallel: Gold, serial numbered to 100 on back of card. 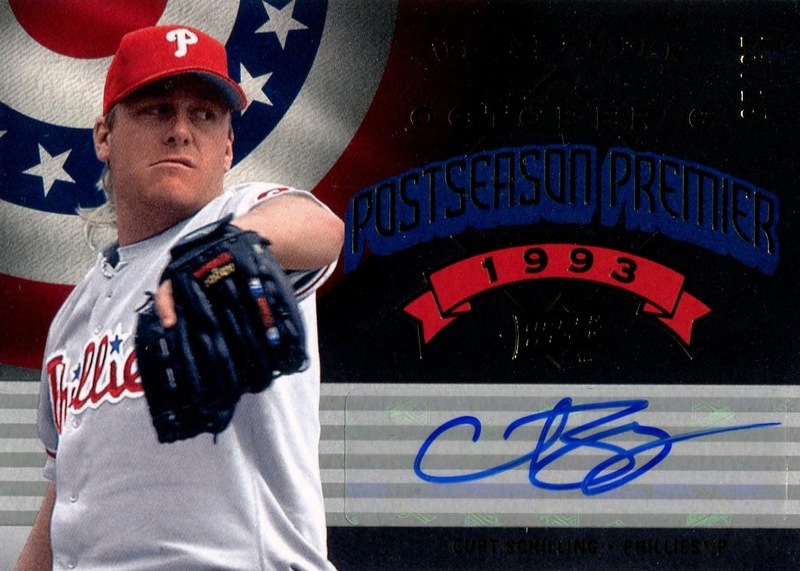 Parallels: Studio Series, serial numbered to 250; Studio Series Black, serial numbered to 100. 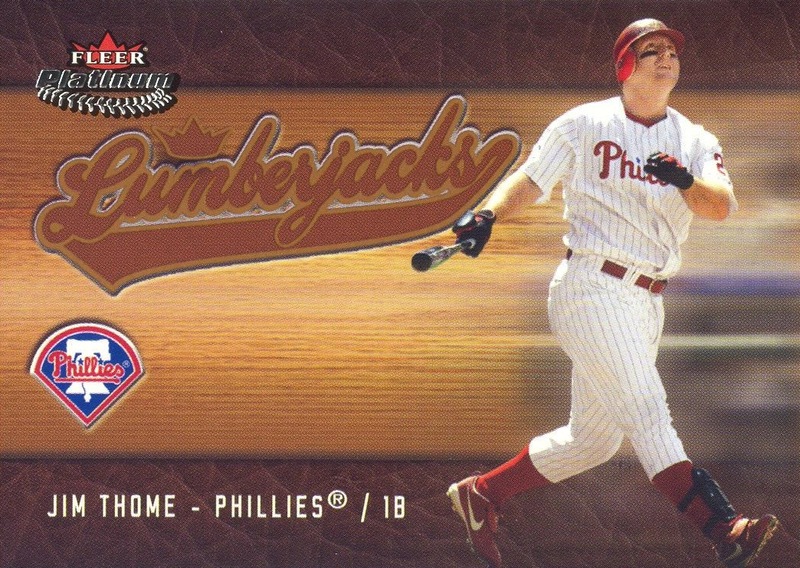 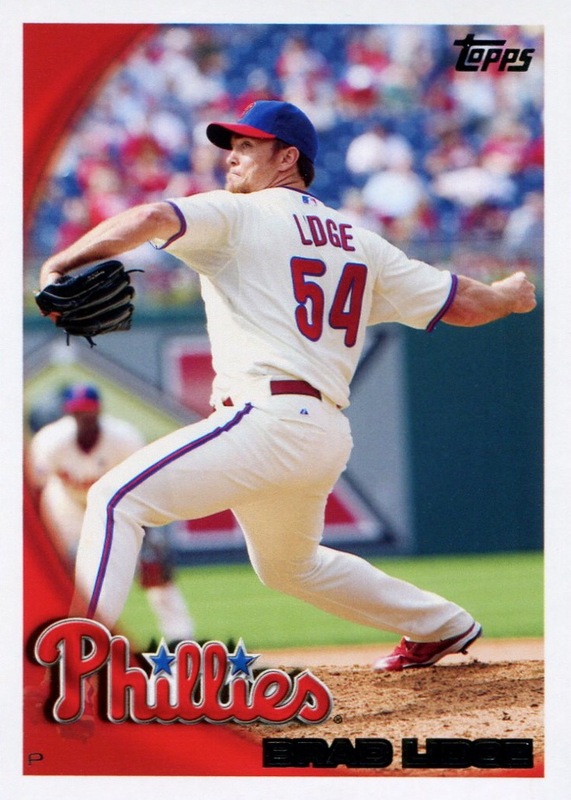 Additional Information: Cards were inserted in packs of 2005 Donruss and are serial numbered to 2005. 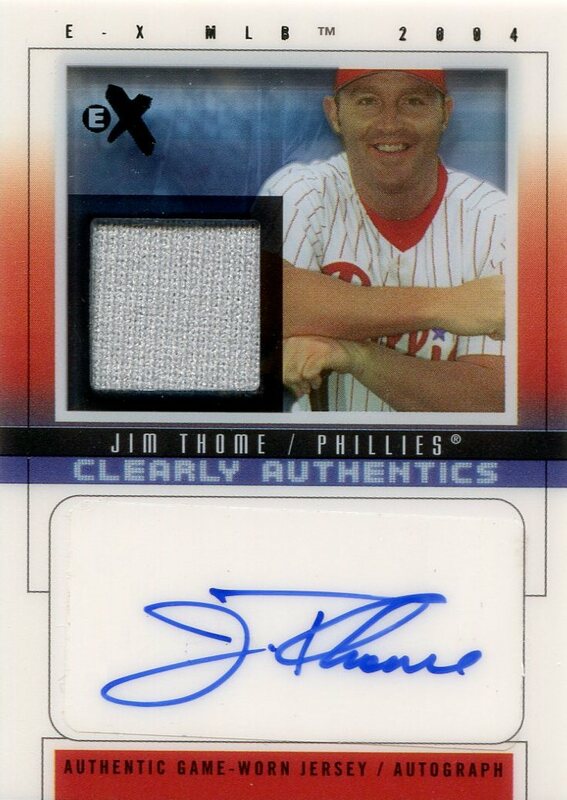 All cards, both base and parallels, bear the serial number on the back of the card. 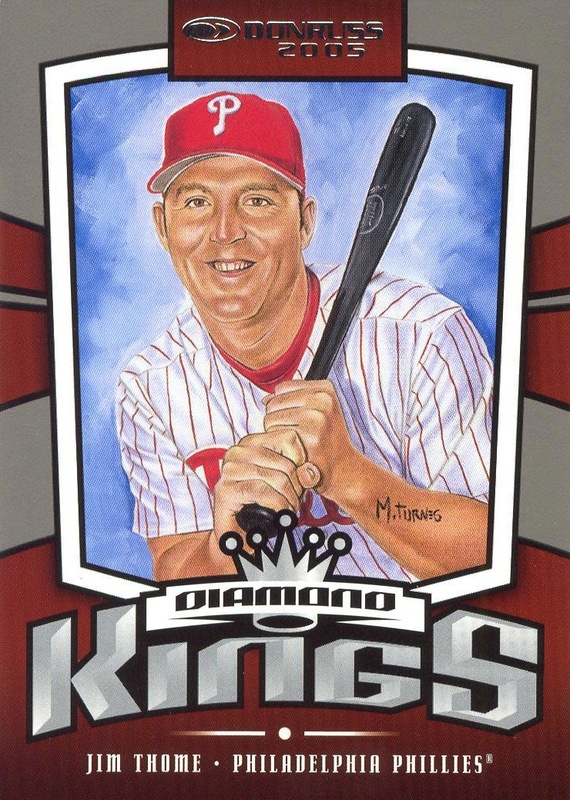 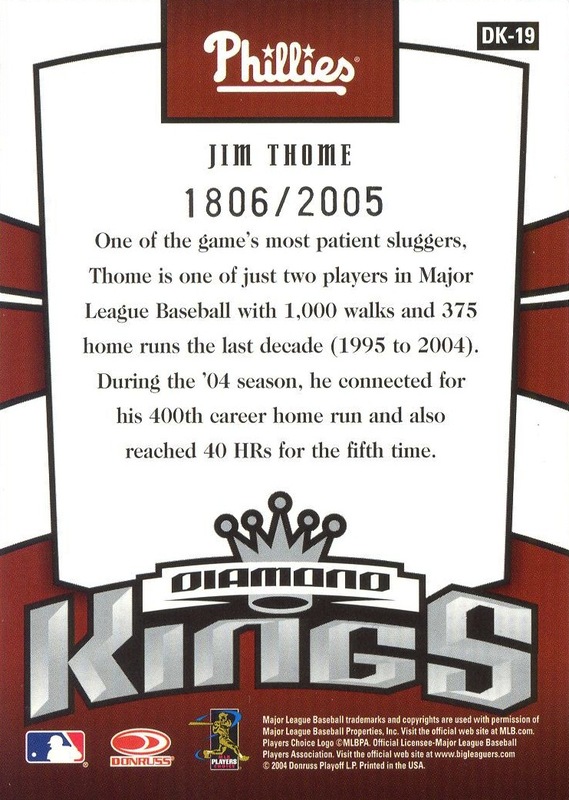 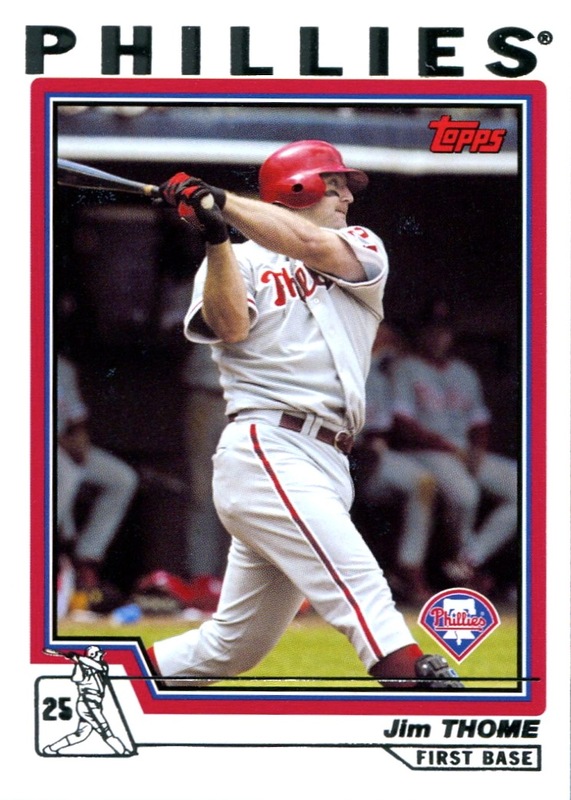 Other than the colors used for the border, Thome card is identical to the Diamond Kings card that appeared in the regular 2005 Donruss set.